We have yet another stunning luxury Gold Coast holiday home to introduce to you – this is Moon Dance, our latest home available from December 2015. 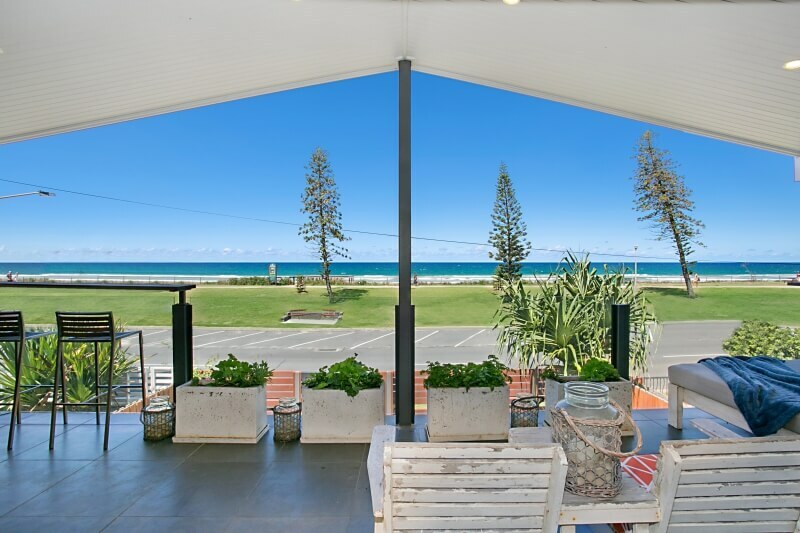 Moon Dance is the perfect spot for anyone looking for a relaxing break by the beach away from the hustle and bustle of some of the busier parts of the Gold Coast. You’ll find it in Miami – a lovely beachfront area. There are plenty of shops and restaurants in the area, plus Broadbeach is just a 9 minute drive and Surfers Paradise 17 minutes away. Moon Dance is a top quality home, with 5 bedrooms, 4 bathrooms and sleeping up to 12 guests. 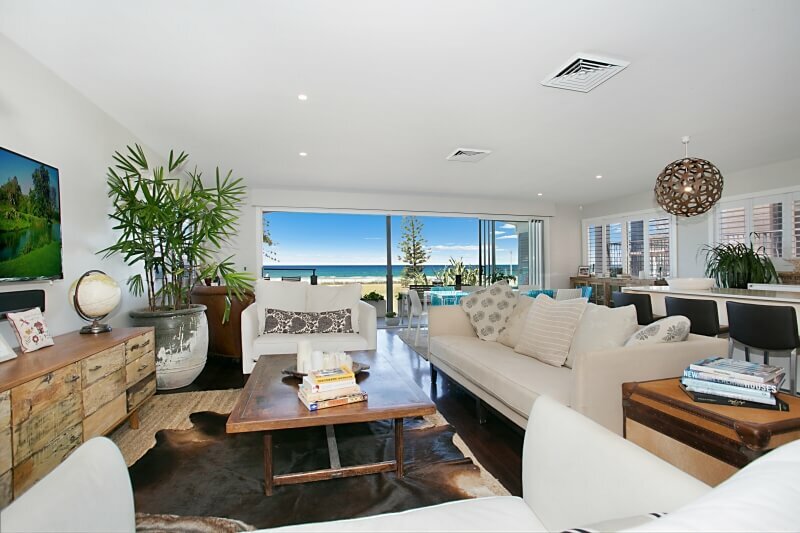 It features a gourmet kitchen, multiple indoor and outdoor living areas, games room, swimming pool, air conditioning and free wifi and Foxtel. The absolute crowning glory, however, is the spectacular location. Moon Dance is just across the street from Miami Beach, with only a road and a park separating you from the sand. And that makes for an amazing view, not just from the huge deck at the front of the house, but from many other vantage points throughout. 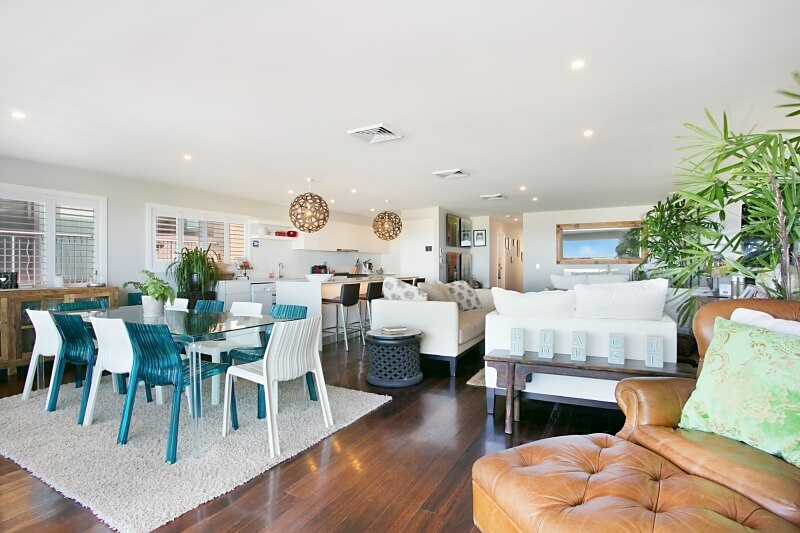 If you’re coming to the Gold Coast for the sun and the sand, you really can’t go wrong with Moon Dance – truly luxurious accommodation right on the Pacific Ocean. To book your stay, simply call us on 07 5592 3881 (or +61 7 5592 3881 from outside of Australia).